Join us at MES from 5:00-6:30 pm on Thursday, October 11th for our second Raising Readers Night. We will have library checkout, makerspaces, art projects, play with parachutes, and have dinner until supplies run out! 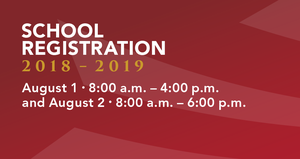 Click here to learn about our APTT dates and information! Click here for more information! 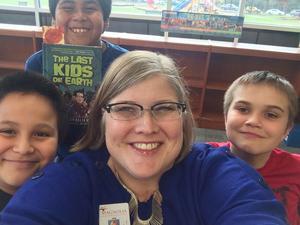 We are beginning a library program called Raising Readers, where you can explore the important roles families play in inspiring the love of reading in children. Once a month, we will open the library for a fun family reading night. Join us tonight for Bingo Night, 5:00-6:30. Join us on Thursday, August 16th, from 4:00 pm-6:00 pm for Meet the Teacher! 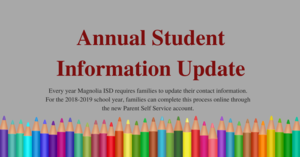 Click here for information on new student registration at MES. Click here to see the district school supply list for the upcoming school year. Join Miss Love on June 26th and July 24 in the MES library for free books, makerspaces and more! We will be open from 3:00 to 6:00, park in front of the school and enter from the playground gate entrance. This document will give you resources for free books and our summer library dates. Keep reading this summer and we hope to see you soon! MISD offers free breakfast and lunch. The Summer Food Service Program will be June 4, 2018 through June 28, 2018. Click here for more information.